The scary flypast chord that opens the Allegro molto moderato of Schubert’s last quartet on a huge crescendo sets the tone with unsettling resolve, the tremolandos that underpin the first theme sounding like a ghostly rumour. 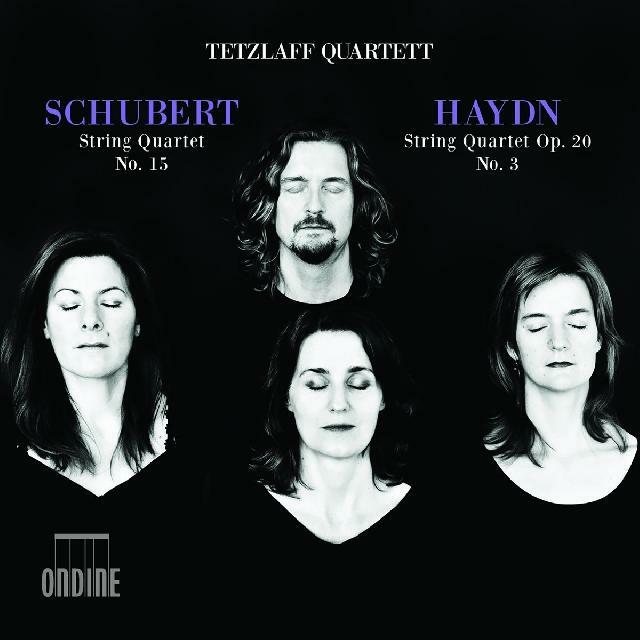 If there’s one quality that a performance of Schubert’s last quartet can do without it’s charm, and you can take my word for it that for the G major’s entire duration the Tetzlaff Quartet have other ideas. The scary flypast chord that opens the Allegro molto moderato on a huge crescendo sets the tone with unsettling resolve, the tremolandos that underpin the first theme sounding like a ghostly rumour. What’s more, the Tetzlaff play the long exposition repeat – so you’ll need to keep those thermals on for five and half minutes longer than usual! The jagged centre of the second movement, again served on a bed of icy tremolandos, is almost tactile in its effect, and the eventful scherzo is both restless and high in shock value, with a trio that hints at an old-world, fireside harmonium. The finale is keenly observant of Schubert’s dynamics, sforzandos, pianos, crescendos, decrescendos and so on. I’ve not heard such a compelling version of this prophetic masterpiece since the Juilliards’ ‘Epic’ LP from the 1960s – and the Haydn G major Quartet is granted a similarly perceptive reading, the wonderful Poco adagio third movement especially. Excellent sound clinches a deal that simply cannot be missed. What I’d really love now from this group is a Bartók quartet cycle. I’m not especially into prophecies, but I’ve a suspicion that that would be special.